Get 3 x More Content Blocks & Build Beautiful Sites Even Faster! 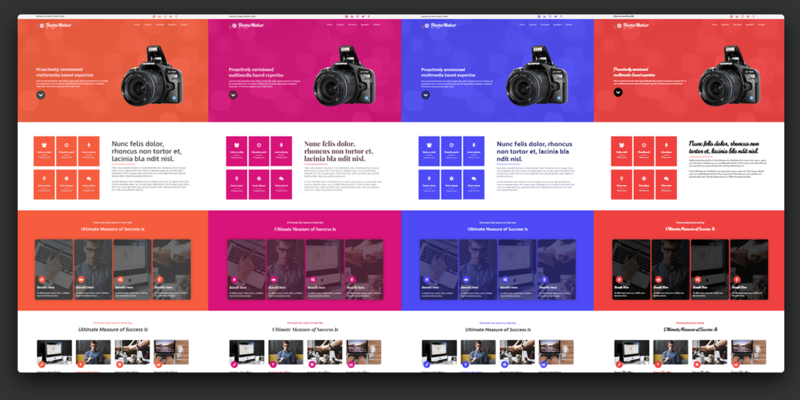 We have gone all out on this pack to ensure you have pretty much every possible combination there is to display your content exactly how you want without having to do it from scratch everytime you need a different type of section for your theme. Galleries – Lists- Image & Text – Showcase – Call To Action Content – Opt-in Sections – Number Sections & A Whole Lot More In Fact Let Me Show You! Plus Early Adopters Will Also Get 40 More Bonus Content Blocks Which Will Be Added Over The Next 90 Days! Fonts, Colours & Buttons Instantly Change As You Drop The Element On The Page To Match Your Theme Options! Cut 90% Of The Site Building Workload Instantly! If at any stage in the next 14 days you’re not loving the ThemeMaker Instant Content Block Pack (we’re sure you will!) simply shoot my team a message with the word “refund” in the subject line and I’ll quickly return 100% of your investment. Cancellations & refunds are dealt with by our support team.